On June 6, Oregon Governor John Kitzhaber signed Senate Bill 281, which adds post-traumatic stress disorder to the state's list of "debilitating medical conditions" for which medical marijuana is approved. The law takes effect, Jan. 1, 2014, allowing qualified PTSD patients to access the drug in the state. Oregon voters legalized medical marijuana in 1998. Patients can grow, possess and use the plant with a doctor's recommendation, but Oregon has no legal dispensaries. Qualifying conditions in Oregon include: cachexia, cancer, chronic pain, epilepsy and other disorders characterized by seizures, glaucoma, HIV or AIDS, multiple sclerosis and other disorders characterized by muscle spasticity, and nausea. 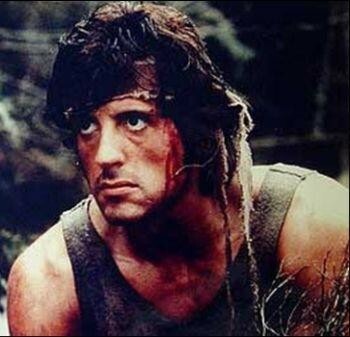 Sylvester Stallone as John Rambo in 'Rambo'. Some 7.7 million Americans suffer from PTSD, a sometimes devastating anxiety disorder that can show up months or years after a person is exposed to trauma. There are thousands of anecdotal reports of the efficacy of marijuana for managing the symptoms of PTSD, especially irritability and insomnia.